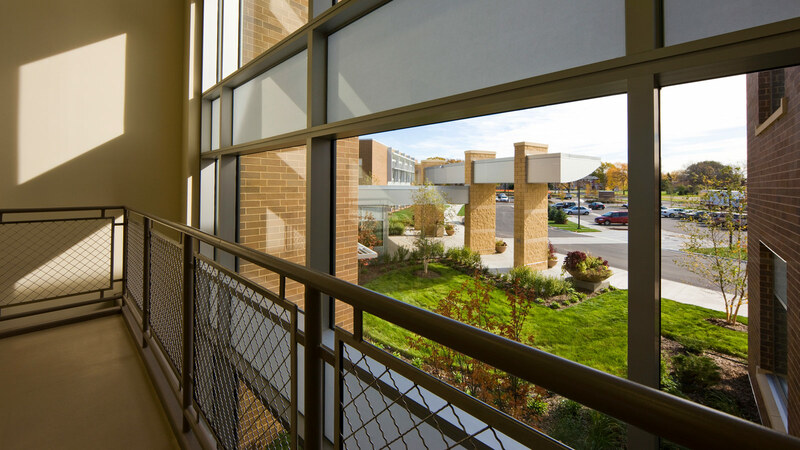 The mission of Intermediate District 287 South Education Center is to creatively meet the diverse and changing needs of learners through cooperatively delivered, high-quality, cost-effective services. 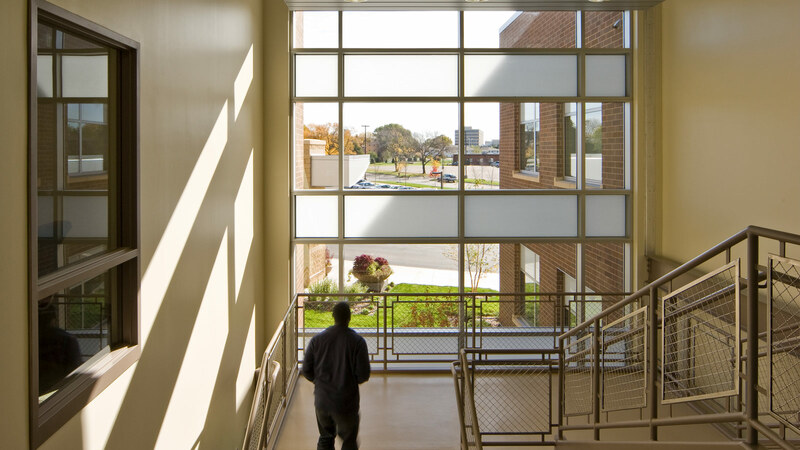 TSP’s design incorporates flexibility with spaces that enhance learning options for a non-traditional student body—students transitioning from high school to the work place and independent living, autistic students, high school students needing an alternative learning environment, students with children who benefit from the on-site childcare center, and students with behavior and emotional problems. 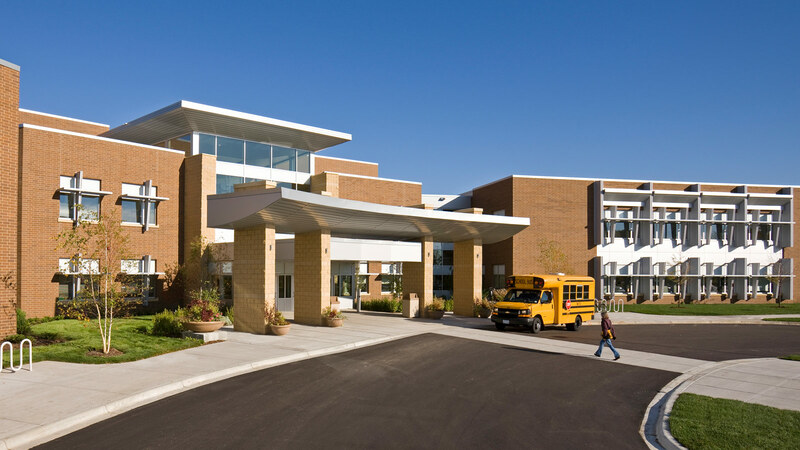 The durable 50-year exterior and flexible 15-year interior provide a solid yet adaptable facility that will meet the district’s needs for many years. Interior walls consist of drywall and metal studs, which are cost-effective to modify as programs change, grow, or are eliminated. Unique spaces not available in traditional school buildings provide options for the district’s special-needs students. 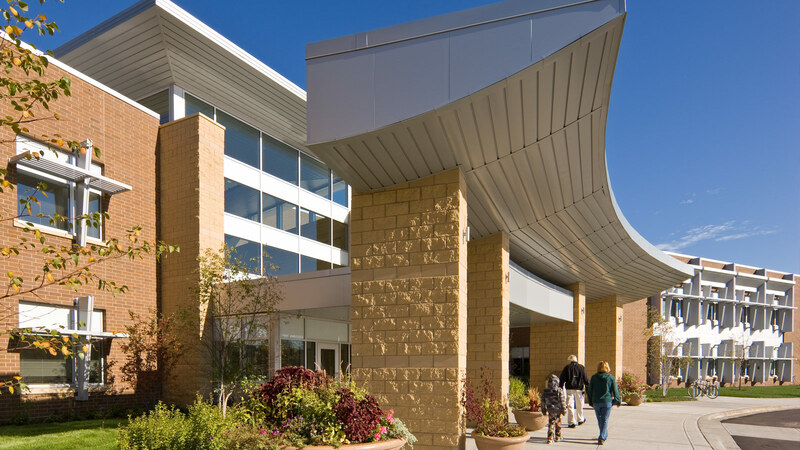 Long-lasting, energy-efficient building systems carry throughout. 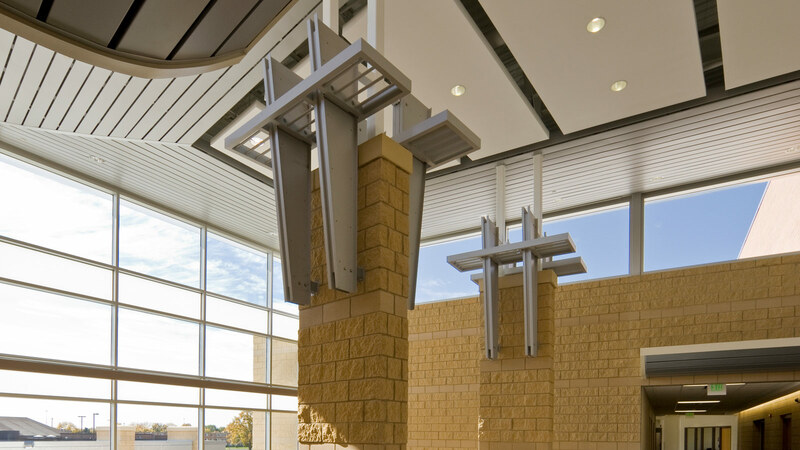 The building achieved LEED certification through strategic sustainable design, including building orientation and placement on the site, the use of classroom daylighting and lighting controls, rain gardens for stormwater management and as an educational tool, a regional bike trail, and a geothermal well field. A combination geothermal and displacement ventilation system provides energy savings 67% better than baseline building codes. The mechanical heating and cooling plants use geothermal heat pumps to provide heating and cooling water to the air-conditioning devices. Heat pumps provide optimal energy transfer either to the ground or to other heat pumps, reducing total energy demand. This innovative approach provides an annual energy savings of more than $100,000, with a simple payback period of less than five years.